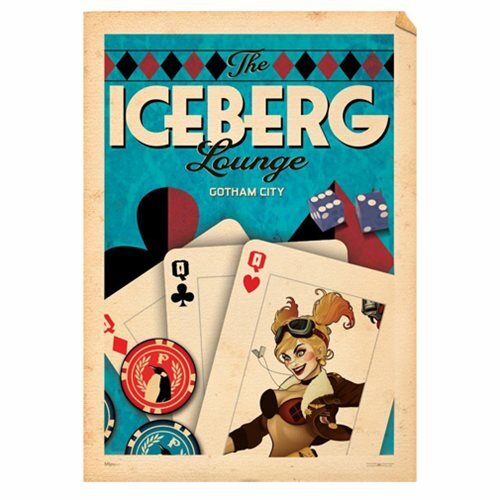 Harley Quinn is the Queen of Hearts at The Iceberg Lounge, bad-girl companion to The Joker, and friends with Penguin. The DC Comics Justice League Bombshells Harley Quinn MightyPrint Wall Art Print will look great hanging in your home or office on the wall. Measures about 24-inches tall x 17-inches wide.